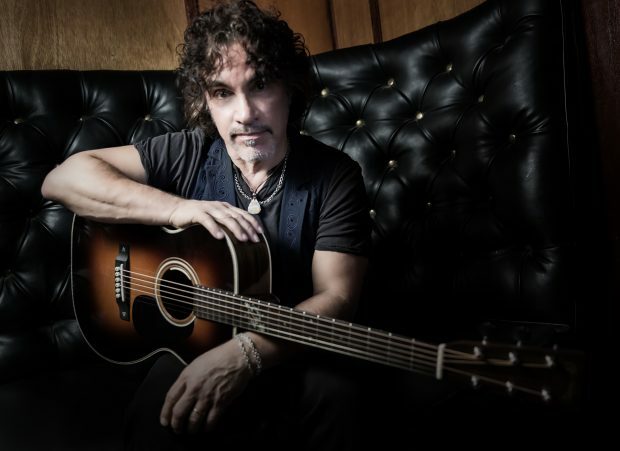 John Oates is best known for being one half of American duo Hall and Oates. 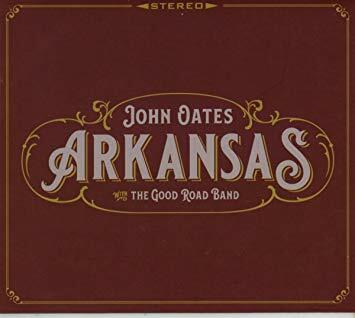 John Oates as well as actively being part of Hall and Oates has recently released his 5th studio album titled Arkansas. Arkansas fits into the Americana genre and delivers a truly outstanding quality of songs both musically and lyrically. 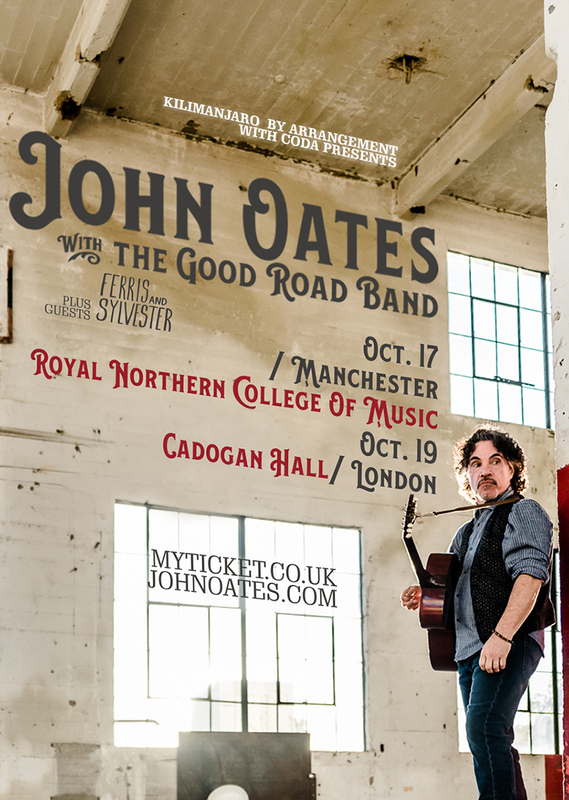 Oates band The Good Road Band joined him on the record to create what is a authentic musical masterpiece. 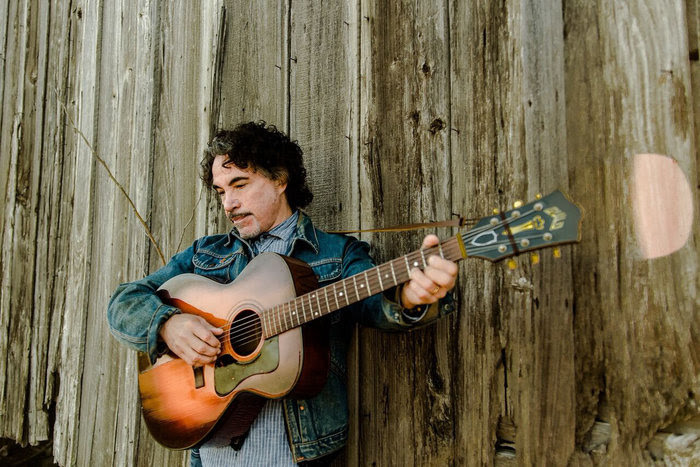 John Oates raw, natural vocals suit the stylings of Americana perfectly and the album does not disappoint from begin to end. 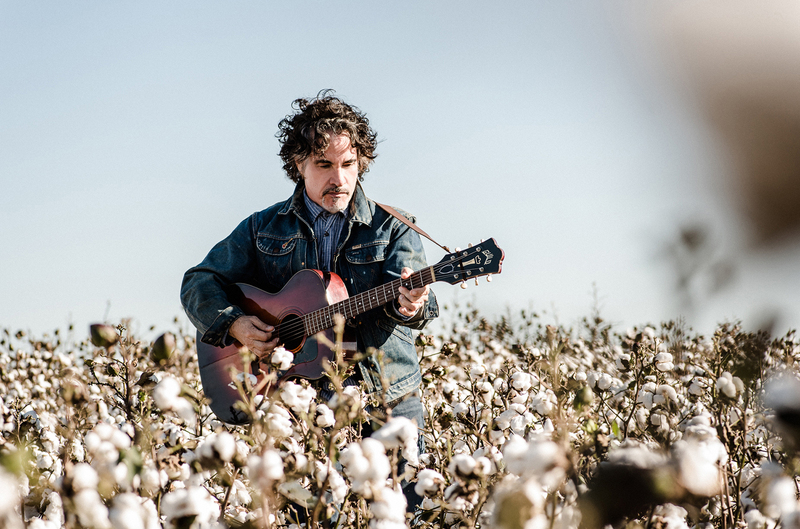 We caught up with John to discuss his album Arkansas, his UK shows and more. Hi, John, how are you? How has your week been? Yeah, I have had a very good week. I just got off The Hall and Oates Tour and had a few weeks to recover and now I am about to jump into my solo work with Americana Festival in Nashville this week. I am rehearsing this week and then we start touring with my solo band through the month of September and we come to the UK in October. Yes, we can’t wait. Speaking of Americana Fest, that seems to be getting bigger and bigger each year. Oh yeah, it’s great. I think it’s the best week in Nashville and that’s saying something, because there is a lot of good music in this town. I agree, I would love to go one year. Americana has such a good range of really authentic music that doesn’t seem to lose its genre. Well that’s what drew me to this style and this genre. I came to Nashville a number of years ago and I began to really make friends in Americana music and felt right at home. It really brought me back to a style of music I was very comfortable with, because I grew up doing it before I started with Daryll (Hall), so in a way it’s been kind of a return to the past to move forward in a way. Yes, I can understand that. In the UK, Americana is starting to get more exposure and I have just come back from the very first Long Road Festival which had a lot of Americana and Roots as well as Country. It would be so awesome if you could be on the line up next year. I am only doing three shows in the UK, but I am hoping these shows will get people excited about what I am doing with my Good Road Band and lead to things like that festival. Yes, and listening to your album Arkansas it’s the perfect fit because one of my highlights this year was a band called The Wood Brothers. Oh, the Wood Brothers, sure. Yes – and both your music and theirs is very instrumentally focused, which always translates incredibly well in a live setting. You can’t beat it. That’s true. When you hear musicians playing live, that’s what it’s all about. The band I am bringing over, is the band that you hear on the album. They are some of the greatest musicians I have played with, they are incredible. It’s really just getting back to that authenticity of real songs, real musicians playing real music. It’s very simple and very powerful. Introduce us to The Good Road band, who are they? Well, the band on the album had the addition of the great legendary Sam Bush on Mandolin but unfortunately Sam is not coming with me, because he has his own group and he is on tour all the time. The rest of the band is coming. Russ Pahl is one of the top studio musicians in Nashville and also a very innovative Pedal steel player. Lead guitar is Guthrie Trapp from Alabama, Steve Mackey who is a bass player from West Virginia and Josh Day our drummer from North Carolina. They are all Southerners except for me, I am the one Yankee in the group, haha, so lucky for me they let me play with them, which is very nice – haha. You have just released your album Arkansas. How long was the process putting it together, because you have said before that it is your proudest work? It came about in a very unique way. I did not set out to record this particular album in this way – in fact, I did not set out to make an album at all. I wanted to go into the recording studio and cut some Mississippi John Hurt stuff, because I have always been a big fan of his. I got to meet him in the early sixties when he was rediscovered and I actually own his guitar. I have this amazing connection to him. I started recording a few tracks, one of which made the album, called Spike Driver Blues, which you hear is just me and my guitar. That’s how the whole album was supposed to be, but I just didn’t want it to be that – I wanted it to be more than that and I thought well, I love these songs so much, what would happen if I were to play these songs with a band? So that was the premise. I said let’s just assemble a band, bring them in the studio and we’ll try the exact same songs, but do them with a full band as opposed to just me and the guitar. That’s what happened. Once we began to do that, the songs really took on a life of their own and it sounded so good that my co producer and engineer said “Man, just whatever this is, just keep doing it”. Then I began to take the idea of just Mississippi John Hurt songs, but I thought, what might he have been listening to in the late 1920’s and early 1930’s. What were the songs that were on the radio or the earliest days of the phonograph machine? I began by taking a Jimmie Rodgers song, because I found out that Mississippi John Hurt was a fan of his. I then began to expand the idea of the album and it became more of a snapshot of music from the 1920’s and the early days of American popular music. Yes, and as you mentioned, you co-produced the album with David Kalmusky? He is an engineer and my co-producer who I have worked with on a number of projects. He is really great because he is a musician and a great engineer – but he is also a collector of vintage analogue equipment. So we recorded this album using all authentic microphones and a lot of the authentic recording equipment – and we recorded it on tape as well. It has also been said that you wanted to record this album for vinyl? I did! We actually designed the production of the album in the engineering process. All the decisions that were made on the technical side were designed so that it would sound good on vinyl. That’s great because I am a vinyl collector, and it has made a big comeback, but there are very few albums that sound of good quality on vinyl these days. Absolutely! The album honestly sounds incredible on vinyl. That’s the way it was meant to sound and so I am very proud of that fact. There are a certain number of things you need to do to record an album on vinyl, and we intended it to be heard on vinyl from the very beginning. Tell us the story behind the title track. Well, I went with my band to a small town in Arkansas to do a show. It was in Wilson, Arkansas which is out in the delta, northern part of the delta. The Mississippi River runs through the town; it’s a cotton plantation and also the ‘blues highway’ , Highway 61, runs straight through the middle of the town. I walked out into the moonlight after the show was over and stood there and thought “This is ground zero for this great American music that has come off the Mississippi River to the Deep South on its way up to the Northern cities”, which eventually of course evolved into rock and roll and all that. I thought it was too special a moment to let it pass and, being a songwriter, I kind of wanted to paint a picture of that moment of me standing there. I went back to Nashville and wrote it, simple as that. As a songwriter these are the moments that become inspiration. Thank you. Can you tell us about Stack O Lee? That is a favourite for me. That was the first song we recorded. I had recorded it by myself in the studio. The version is a similar one to what you hear on the record, but just me and the guitar. When the guys came in, it was a very straightforward song and I thought, let’s play it with the band and see what happens. I remember my engineer turning to me after the track was cut and said “John, I don’t know what you want to call this, but this is really cool, just keep doing it”. This song was like the eye-opening surprise where I thought “Wow, this might actually work; this is incredible and sounds really cool and isn’t a sound I had ever heard before”. That track was really a catalyst for making the rest of the album. Another track that stood out for me was Miss The Mississippi. That’s a classic Jimmie Rodgers song. What I found in learning more about Mississippi John Hurt, to my surprise, was that he was a huge fan of Jimmie Rodgers. I thought if I am going to do this snapshot of music of that period of time, let me include a Jimmie Rodgers song. I was invited to Bristol (Tennessee) to the Rhythm and Roots Festival and they were celebrating the music of Jimmie Rodgers, because he recorded his early work in Bristol. So I learned that song for the festival and I have played it ever since. It has always been one of my favourite songs. I just love the arrangement on it, the way the guys (The Good Road Band) played it, it’s very unique, a very beautiful arrangement. Yes, I agree. I was actually going to ask about the instrumentation on the album, because it’s so detailed. How important is it for you to have authentic instrumentation in a world that has a lot of technical equipment replacing those much loved sounds. You can’t make a record like this unless you do it that way. The players I chose, I chose for many reasons. One is that we were all friends and the other is their incredible musicianship and their sensitivity to not only understand what makes these songs sound the way they sound, but also they have a modern sensibility as well, so it’s a combination of the two things. My job as a producer on this record was not to dictate to them what to play but more to guide the process and allow them to do what they do, just making sure that we are all pointed in the right direction. That was my goal as a producer, to basically allow the spontaneity and creativity to happen but at the same time make sure it was happening the way I wanted it. You are coming over with the band in October. What can we expect from the shows? I assume a lot from the new album? Yes! And if you like great playing and great musicianship, this band will blow your mind – they are incredible. I don’t want to keep hyping what I am doing, but the truth of the matter is they are some of the best musicians I have played with. That’s what the show is all about. I throw in some Hall and Oates songs – I do Maneater in kind of a reggae style which is, believe it or not, how I wrote it. So I do some surprises, I do some R&B and stuff from some of my previous albums. I throw in all sorts of things. It’s really about the band and this great synergy of playing together and making it real. I hope Stack O Lee is on the set list? Oh, yeah, are you kidding me? Of course, haha. Believe me, we play pretty much everything on the album – in fact sometimes I play the entire album from beginning to end to start the show and then I go off after that and play all sorts of other things. That’s great, so it will never be the same set list, no two shows are the same? Oh yeah, it can change. Sometimes depending on the crowd, especially when you are in these small venues where you are more intimate with the crowd. Sometimes they will shout ‘play She’s Gone’, ‘play Sara Smile’. So you never know which way it’s going to go. Well, I am sure you know from playing here as Hall and Oates, that the UK are notorious for being great listeners? Oh, yeah. I have found that Americana and Roots music is really starting to take off in the UK and people are really loving it, so I am really excited to see what happens when they come to hear this band, because I think they are gonna go nuts, haha. Staying on the topic of live music, you also have a live EP out? How do you decide what tracks to put on a live album? Well, I just picked some tracks that were recorded live during our last tour in the US over the winter. I wanted to represent how the band sounds live in addition to the Arkansas album. There’s a track on there that I wrote with the great Mike Henderson called Edge of The World, and you can really hear the band playing, which is great as I wanted to do something that showcased the live band. Thank you so much for chatting today. We look forward to seeing you in London and are loving the new album. I do hope you make the UK a regular stop. Well, let’s see what happens. If we get a good response, we will make that happen.